Although reports vary it is estimated that there is around £400 million in unclaimed pensions in the UK. Changing jobs is one of the main reasons that people forget about these pensions and unclaimed pension trackers can be used to recover these funds. Why Do People Lose Track Of Their Pensions? The main reason is swapping jobs over a number of years. On average, one in five people will have changed jobs five times by the time they reach 34. One in three people also have multiple pension policies and losing track of these policies does happen. A huge number of people do not bother searching for old pensions as they do not actually think it is worth the effort. Why Don’t the Investments Companies Try to Trace People? Insurance and pension companies will initially try to reconnect individuals with their pensions. However there may be reasons why this task can prove fruitless. It could be that investors have moved home and jobs a number of times throughout their lives. A change in name due to marriage and divorce is another factor that can make investors harder to find. But Is It Really Worthwhile Tracing an Old Pension? Tracing old pensions can prove very lucrative for some people. Reports of lost pensions providing sums of £20,000 plus are not uncommon. The largest payout has been in the region of £80,000. The government pensions tracking service is free to use so those looking for old pension companies really have nothing to lose. Do Unclaimed Pension Trackers Charge Money? Some companies will track old pensions for claimants and will charge a fee for this service. The Unclaimed Assets Register (UAR) has the facilities to track life policies, pensions, investments and dormant bank accounts. They are continually expanding their database of financial institutions. The UAR does charge a £25 fee for conducting a search and their success rate is 1 in 6. What Will I Need To Find Old Pensions? There are a number of details that will be required to help pensions trackers complete a search. Required details will include a combination of National Insurance numbers, previous addresses and previous employment details. The more information the claimant has the more thorough the search should be. Searches should take a couple of days at most. Can I Find Details of Deceased Relatives Pensions? Pension trackers can look for the pensions of a deceased partner or a deceased relative. This is another common reason why pensions are lost. Partners or relatives may have taken out pensions but not informed partners. 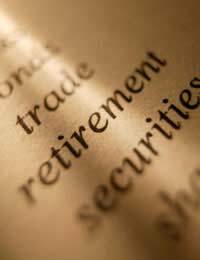 Details can be used such as National Insurance numbers and employment details to find occupational and personal pension plans. What Is The Government Unclaimed Pensions Tracking Service? The government does run a pension tracking service through the Direct Gov website. The government tracker can search over 200,000 personal and occupational pensions plan schemes. They should be able to provide pensions scheme details that claimants can then use to find out if they are eligible to make a claim. This is a free to use service that takes around 15 minutes to complete online. Who Else Runs Unclaimed Money Tracking Schemes? Unclaimed money and pension tracking companies are becoming popular and the process has been simplified thanks to the Internet. Some social networking sites such as Friends Reunited actually offer a tracking service at a very low cost. Starting off with the Direct Gov pensions tracker may be the best option as it is free to use. However, this service cannot actually tell if claimants are due money they can only find pension companies. Trackers such as the Unclaimed Assets Register may be a better bet when trying to find lost pensions. I’ve Heard Unclaimed Pension Tracking Schemes Are Scams? Of course there are scammers out there who will promise to find unclaimed money and charge a fee for doing so. The scammers will usually contact people through unsolicited emails and will request personal and financial details. Once a fee has been obtained they will not usually conduct the search. Be extremely wary of emails from companies that claim they will find unclaimed money. Reputable companies will not send unsolicited emails. My husband died in 1997, i know he had a pension but no idea where he worked or for how long. The company liquidated and he had no idea what happened to it himself. Now i am older and without funds i need to find out if i am entitled to anything but i have to locate it first and no idea how. Not sure i even have a record of his NI no any more. I have a pension with NPI pensions,they have not been in contact for some time ,the information I got from the Revenue and Customs that they are colecting payments from an Annuities holder,i would like to get the information about my pension, can you help. I had a private pension sometime in the 1980s, I changed employment, and lost track of said pension, at the time I was working in school meals for the glc (which has since been disbanded) I was unmarried at the time.